Being an activist for liberty can occasionally be downright depressing. Sometimes it feels like it’s just one bad news after another as the government continues to grow and take away our basic freedoms. Every now and again, there is some good news though! The Supreme Court just ruled that police officers must obtain a warrant before searching through an arrestee’s cell phone. This unanimous decision has huge implications as 12 million Americans are arrested every single year and most carry cell phones with vast amounts of personal information. Of course, this issue should be a no brainer. The Fourth Amendment, which clearly prohibits unreasonable searches and seizures, should still apply in today’s digital age. Up until now, however, the law has been unclear about smart phones. For better or worse, the Supreme Court has upheld that personal items, such as wallets, may be subject to search after arrest. The Obama administration has previously defended cell phone searches by saying that the devices are no different than anything else a police officer could find on a person. Cell phones differ in both a quantitative and qualitative sense from other objects that might be carried on an arrestee's person. The term "cell phone" is itself misleading shorthand; many of these devices are in fact minicomputers that also happen to have the capacity to be used as a telephone. They could just as easily be called cameras, video players, rolodexes, calendars, tape recorders, librararies, albums, televisions, maps, or newspapers. The justices are right. Cell phones are in a different category than wallets because the devices store so much private and sensitive information about a person. In today’s world, searching through someone’s phone can be as intrusive as searching through their home. Modern cell phones are not just another technological convenience. With all they contain and all they may reveal, they hold for many Americans “the privacies of life." The fact that technology now allows an individual to carry such information in his hand does not make the information any less worthy of the protection for which the Founders fought. 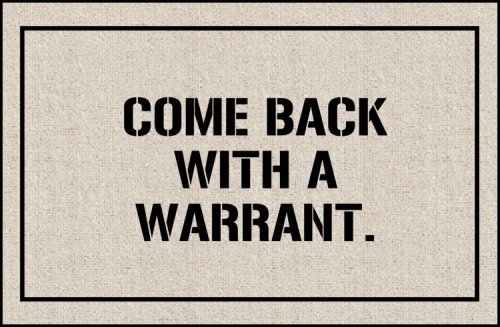 Our answer to the question of what police must do before searching a cell phone seized incident to an arrest is accordingly simple— get a warrant. FreedomWorks applauds the Supreme Court for upholding the Fourth Amendment. This is a huge win for personal privacy. We hope that this means that the Supreme Court has decided to take civil liberties issues seriously. Isn't it odd to be celebrating what should be a given? We are so suppressed these days that your own cell phone has become an issue?! Has anyone else felt this? We are no freer here than in Russia! I am ashamed we took so long to see it.